As residents of this great community ourselves, we were so happy to find a local store that we could open to help provide a much needed service to the area. Julie and I were both born and raised in WNY. 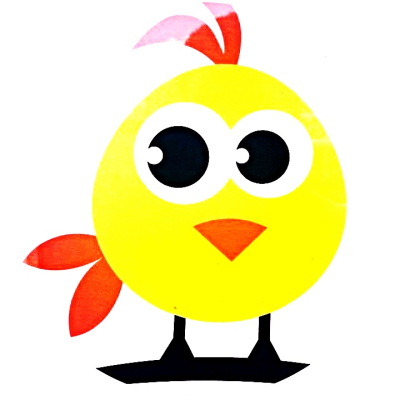 I lived in the Cheektowaga/Lancaster area, and Julie grew up in nearby Holland. We were both fortunate enough to enjoy successful careers, but after years of high pressure and stress we decided to take our dogs and cats and settle just up the road in N. Boston to enjoy the beautiful hills, the laid-back friendly people and yes, even the snow. 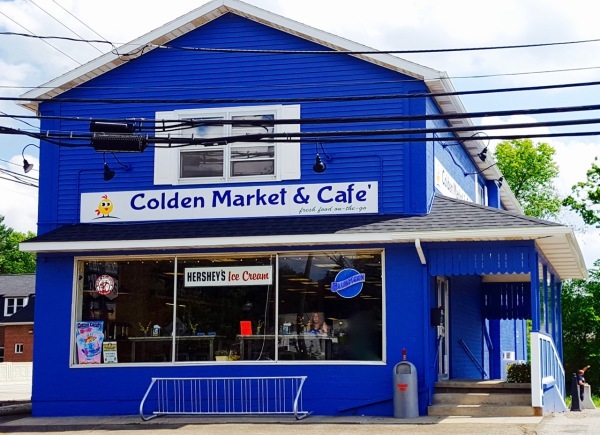 The Colden Market and Cafe has been a life-long dream for both Julie and I as she has always wanted a quaint country store and I love my time in the kitchen! We can't express how excited we are to be here! As we have both owned and managed businesses before we are keenly aware of the importance of stocking the items that your customers need and want. 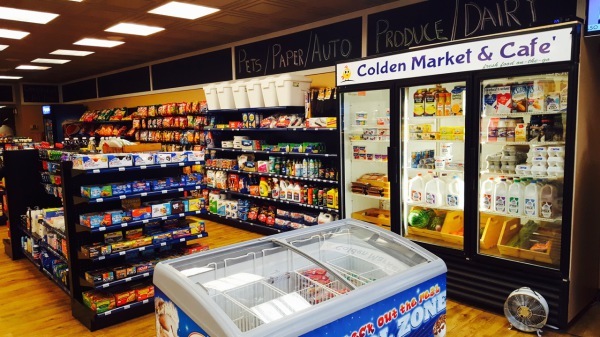 We promise we will continue to keep things fresh and new as we grow into the convenience store you've been asking for and maybe even more. Julie and I would love for the market to become a community venue as well as a convenience. 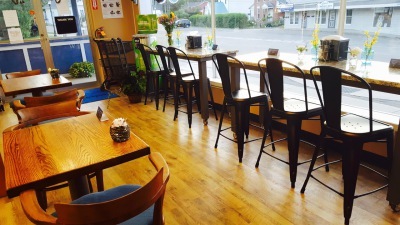 That's why we have free wi-fi, a 50" TV, daily newspaper and plenty of tables and chairs so you can hang out with us, or meet your friends for coffee or a great meal. Please join us for breakfast, lunch or dinner. You'll never have the same dinner twice in a week (unless you want to). Take home a complete dinner or a little comfort food, like our almost famous chicken pot pie (made from scratch). Or just drop in for a coffee, ice-cream or a late night snack. We analyze our inventory every week and with your feedback have continued to add numerous items to our available products and meals. 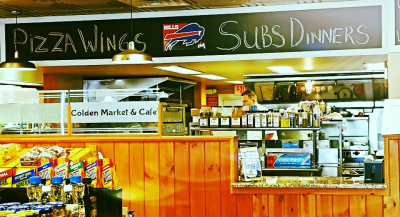 Just recently we've added hummus, soy and almond milk, taco shells, sliced cold cuts and cheeses to our groceries, wine bottle openers and skewers to our housewares, brought in specialty items from local distributors like pickles, honey and soap products, and added meatball pizza and oven-charred BBQ wings, all at your request. We've also added many craft beers and cigarettes that you've asked for and we'll have full-scale lottery in the next couple of weeks! Please stop in and introduce yourself. We're just getting started but Julie and I would love to meet you and show you around the store. We'd love to hear your feedback and any ideas you my have. Thank you so much for welcoming us to the community and allowing us to serve you!